Tall tales of Detroit was initially conceived as a traditional narrative which posited whimsical explanations for uniquely Detroit phenomenon. 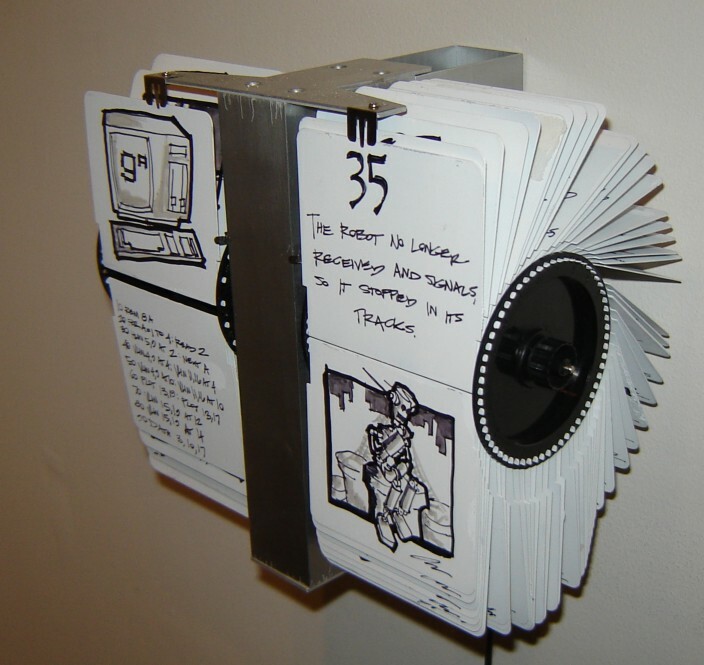 The piece consisted of hundreds of drawings installed on a flip clock mechanism. 86" x 34" x 3"
The drawings from the original Tall Tales of Detroit were composed on a grid with some of my Dad's old syndicated cartoons. The result is a series of non sequitur narratives that elude to the original themes. This piece was intended as a surprise for my father, who passed away minutes before it was complete.